SAFE SEAS investigates maritime security governance and responses to transnational organised crime at sea. Currently, SafeSeas is in the process of developing an evidence base on Transnational Organised Crime at Sea. The best practice toolkit titled “Mastering Maritime Security. 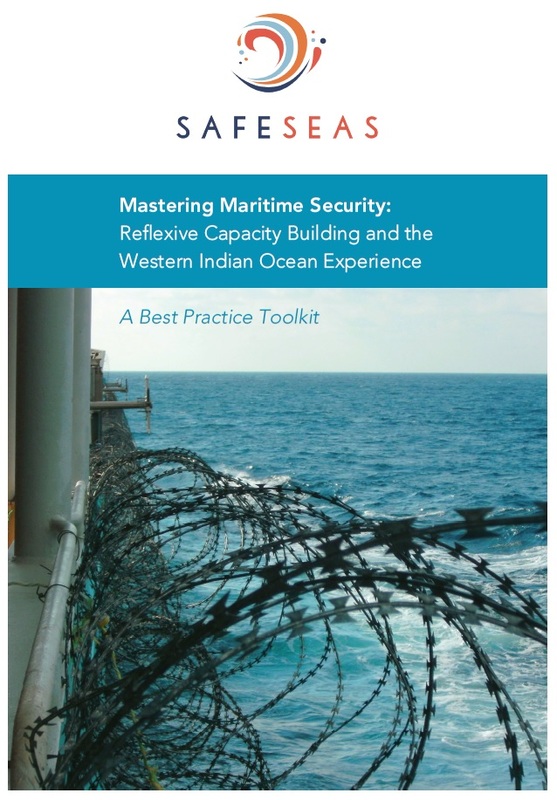 Reflexive Capacity Building and the Western Indian Ocean Experience” provides an essential guide for maritime security governance and for the planning, programming, and implementation of capacity building. The toolkit was launched in March 2018 at a high-level symposium. Case studies of maritime security sector reform processes and the success and failure of capacity building in the region (including in Djibouti, Kenya, Israel, Pakistan, Seychelles, Somalia and South Africa) will be published as an edited volume (in production, expected publication in spring 2019). Other project results have been published as articles, or are available as working papers and blogs. Bueger, Christian and Anthony Bergin. 2018. Uniting nations: developing maritime domain awareness for the ‘Blue Pacific’, The Strategist, 8 May 2018. Bueger, Christian and Anders Wivel. 2018. How Do Small Island States Maximize Influence? Creole Diplomacy and the Smart State Foreign Policy of the Seychelles, Journal of the Indian Ocean Region, forthcoming 2018. Bueger, Christian, and Edmunds, Timothy. 2017. Beyond Seablindness: A New Agenda for Maritime Security Studies. International Affairs 93 (6): 1293–1311. Bueger, Christian. 2017. Territory, Authority, Expertise: Global Governance and the Counter-Piracy Assemblage. European Journal of International Relations. Bueger, Christian. 2017. Effective Maritime Domain Awareness in the Western Indian Ocean. Policy Brief 104, Institute for Security Studies: Pretoria. Bueger, Christian, and McCabe, Robert. 2017. Somali Sea Hijack is a Warning Signal: The Pirates are Down but Not Out. The Conversation. Bueger, Christian. 2017. After seablindness: Towards maritime security governance. International Affairs Policy Forum. Bueger, Christian. 2017. The Contact Group at 20: Challenges for the upcoming plenary. Piracy-Studies.org Blog, June 2017. Bueger, Christian. 2017. “We are all islanders now” – Michel’s Blue Economy kaleidoscope and the missing link to maritime security. Journal of the Indian Ocean Region 14(1): 117-119, 2018. Bueger, Christian. 2016. NATO’s fight against Somali pirates: The end of an unsung success story. Piracy-Studies.org Blog, December 2016. Initial project results are published as SAFE SEAS Concept Notes. These are work in progress documents that have the primary purpose of serving as consultation and discussion drafts. We welcome comments on any of the drafts. Concept Note 1: Maritime Security Capacity Building: Spotting the Gaps. Discusses which methodologies are available for assessing maritime security sectors. Introduces the SPIP methodology developed and tested in the frame of SAFE SEAS. Keywords: Maritime Security Sector Reform; Capacity Building Needs; Maritime Security Strategies; SPIP Methodology. Concept Note 2: Capacity Building and the Ownership Dilemma. Addresses the question of ‘local ownership’ in international capacity building and security sector reform. Keywords: Maritime Security Sector Reform; Capacity Building; Local Ownership; Dilemmas of Ownership; SPIP Methodology. Concept Note 3 – Mapping Maritime Security Sectors. Outlines the framework for mapping maritime security sectors further developing the SPIP methodology as a framework. Keywords: Mapping Maritime Security; SPIP Methodology; Maritime Security Sector Reform; Spaces, Problems, Institutions and Projects; Maritime Governance. Concept Note 4 – Maritime Security in Seychelles. Introduces the SAFE SEAS case study of the maritime security sector in Seychelles, drawing on the SPIP methodology. The country profile is introduced, the organisation of maritime space reviewed and the core maritime security issues identified by the country are discussed. Keywords: Seychelles, SPIP Methodology; Mapping Maritime Security; Small Island Developing States; Maritime Governance; Spaces; Problems. Concept Note 5 – Maritime Security in Kenya. Provides a primer to the SAFE SEAS case study of the maritime security sector in Kenya drawing on elements of the SPIP methodology. It examines the maritime spaces of Kenya, the problems, and challenges facing these spaces as well as the existing legal, policy and institutional frameworks for tackling these problems. Keywords: Kenya, SPIP Methodology; Mapping Maritime Security; Blue Economy, Border Control, Maritime Governance; Western Indian Ocean. Concept Note 6 – Capturing Capacity Building. Presents a basic framework for data collection that allows for capturing maritime security capacity building activities in the SAFE SEAS country cases. It provides guidelines for how we aim at gathering data through desk research, interviews and participant observation in order to study how capacity building is carried out in practice. Keywords: Data Collection; Capacity Building; Conceptual Framework; Projects; Practice.